The inspirational CEO tell us his approach to travel. You could say that safaris run in Joss Kent's blood. 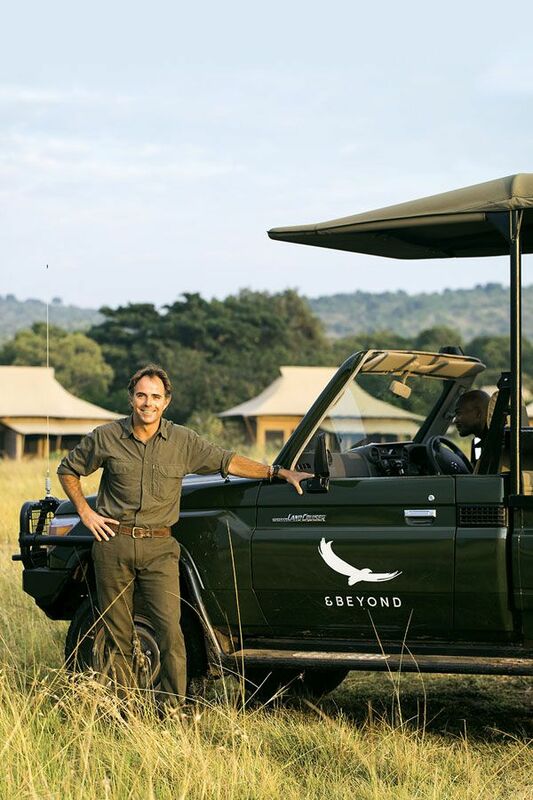 His grandparents and father founded the luxury adventure travel company Abercrombie & Kent in 1962, and Kent grew up running across the wild plains of Kenya. The lifelong explorer, who is fluent in Kiswahili, is also a Harvard MBA graduate and was previously CEO of Abercrombie & Kent. Joss Kent (JK) I spent two and a half weeks on our East African circuit, traversing from Laikipia and Northern Kenya down into Tanzania. Flying over the Ngorongoro Crater World Heritage Site by helicopter against a setting sun and in formation with the pink flamingos over Lake Manyara were truly once in a lifetime experiences. JK Coming up is an urban safari through the Big Apple (New York). Next andBeyond adventure will be to Vamizi Island in the Quirimbas Archipelago in Mozambique. JK Colombia—post all the Narco and civil wars, the beauty of this country is emerging. I am looking to do an off-road motorbike trip in the east of the country and a traverse of the Orinoco River, coupled with a visit to Cartagena. There's also Japan—I keep talking about it, but I still haven't been there! A dream trip would be to visit the outer islands, focusing on the amazing nature and pristine wilderness they have to offer, learn to snowboard in Niseko or the Hakuba Valley, and then end with a food safari through Tokyo. JK If every person on this planet, all seven billion of us, had the privilege and opportunity to travel… There would be no wars. We would understand our impact on the world’s resources, we would honour and protect the beautiful cities, and we would raise our children with more natural tolerance. We would have a better, more peaceful and more sustainable world, in my opinion. One place you'd visit over and over again? JK There are a few, but I’d like to specifically mention Benguerra Island in Mozambique. It takes me back in time to an Africa I grew up in. Raw, innocent, inspiring, full of opportunity and breathtakingly beautiful. Things you always travel with? JK A ‘kikoi’, Moleskine travel notebook, ear plugs and my iPad. I also always travel with a charcoal sketching pad —I have no talent for it, but I really enjoy sketching if I get a free moment. JK Unfortunately, usually work emails or documents. But if not that, back copies of Afar, CNT, The Economist and the New York Times app. JK My wife and children. JK Uber, Waze and DarkSky (best weather app in the world!). JK A long run on arrival. JK Don’t photograph and post everything on social media. I am not an active photographer or collector of artefacts, storing my experiences solely in my own mental archive. The most wonderful thing about this is that I can pluck out my memories and savour them at any time and place. All I have is my experience—pure, personal, soul-enriching and unforgettable. So don’t share everything; keep some just for yourself.